Hello everyone! 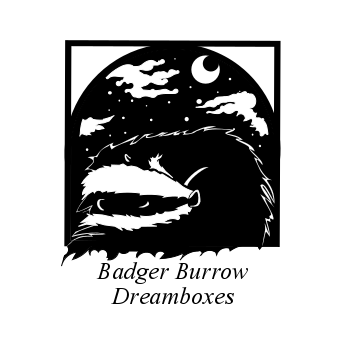 I’m Brittany Cox, aka “Britthebadger” and I’m an artist and dreamer from Seattle. I’ve always had a knack for working with my hands, a trait that I inherited from my dad, and I am never so happy as when I am creating something beautiful. After spending a few years exploring different mediums through costume creation and design, I was having a hard time and felt as though I had lost my way. A friend of mine invited me to an art gallery showing to cheer me up, and I saw a beautiful light box someone had made. I was fascinated by the combination of drawing, paper cutting, and light, and seeing that piece helped me rediscover my passion for art. I dove into the world of dreamboxes in March of 2016 and though I have only scratched the surface, I’ve already feel as though I have grown so much as an artist.